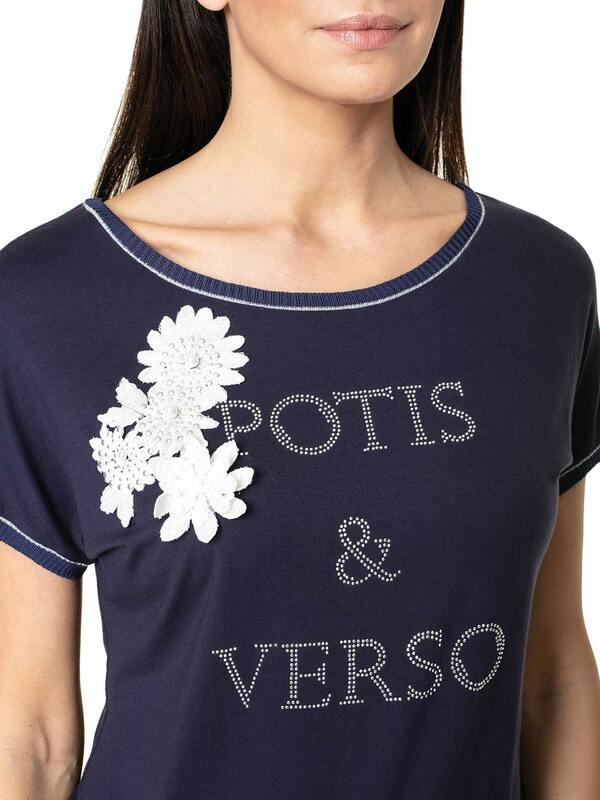 Julia is a neat t-shirt with a feminine cut and decorative details. You can use it in many everyday styles. 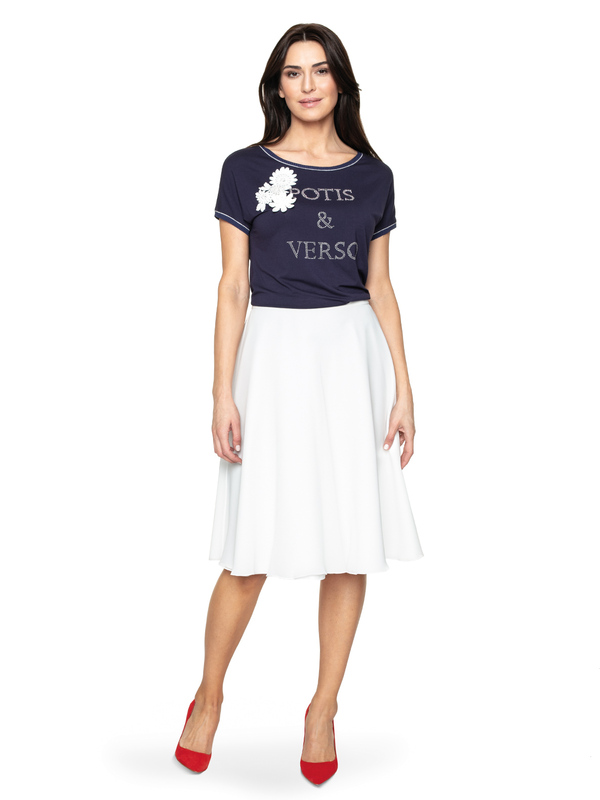 Julia is a neat t-shirt with a feminine cut and decorative details. You can use it in many everyday styles. 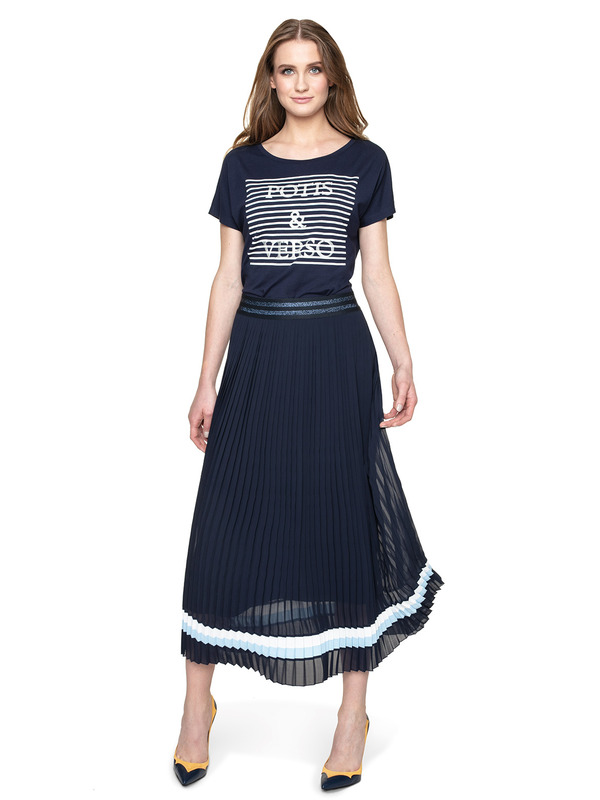 The universal, high-quality fabric t-shirt is suitable for your wardrobe. 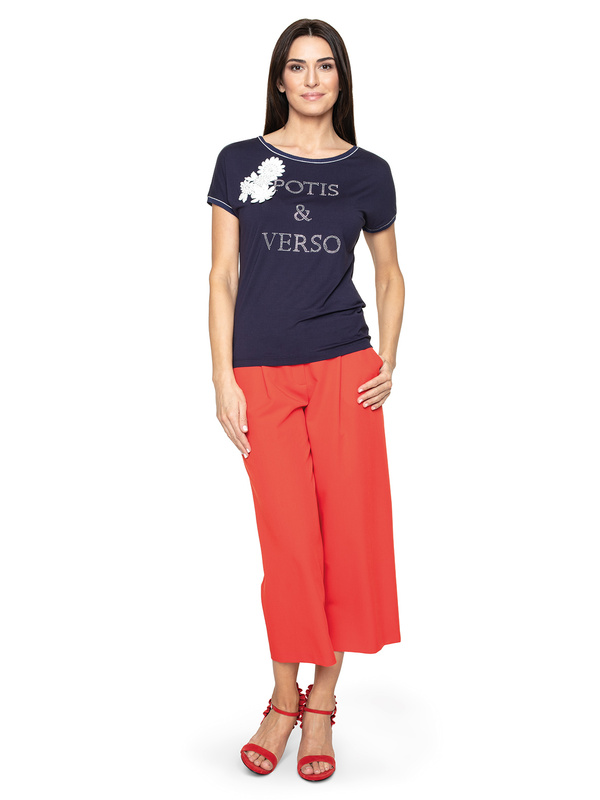 Julia stands out from many T-shirts of this type because of her feminine style close to the body, but not restricting movement, as well as bright, decorative trimmings and floral appliqués. In line with the trends, it is also decorated with a large, glossy logotype. The length of the t-shirt reaches beyond the hips. 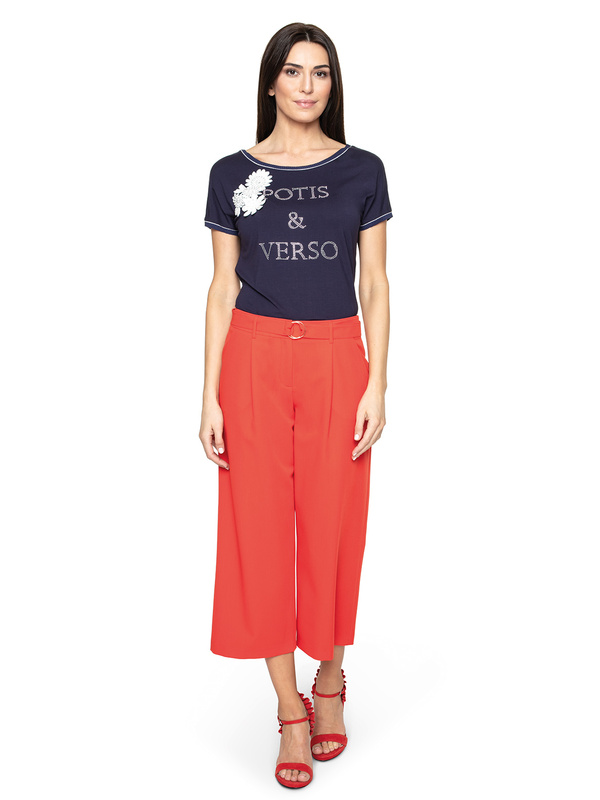 Combine a t-shirt with a jeans jacket and coral trousers by Potis & Verso. A simple, weekend set Julia will also create or with your favourite jeggins. 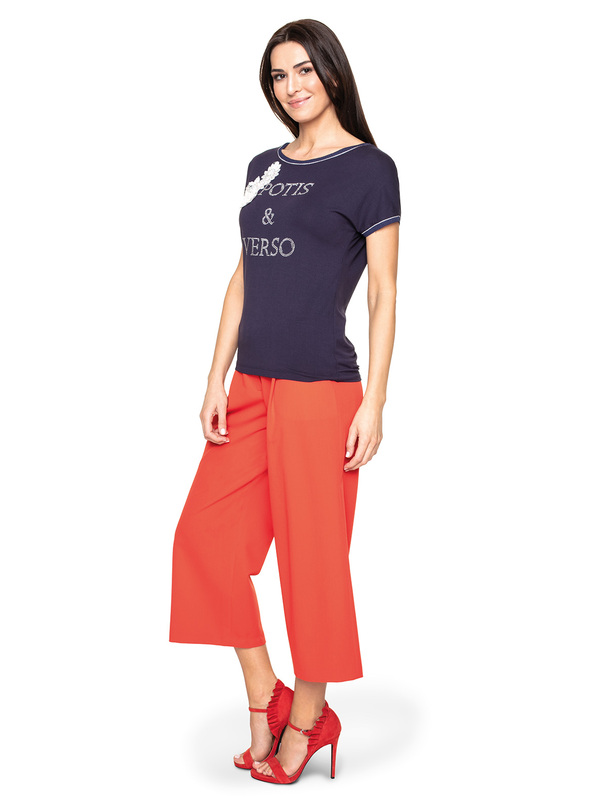 Bright sneakers or girls’ ballerinas and a fashionable backpack bag will fit into the outfit.